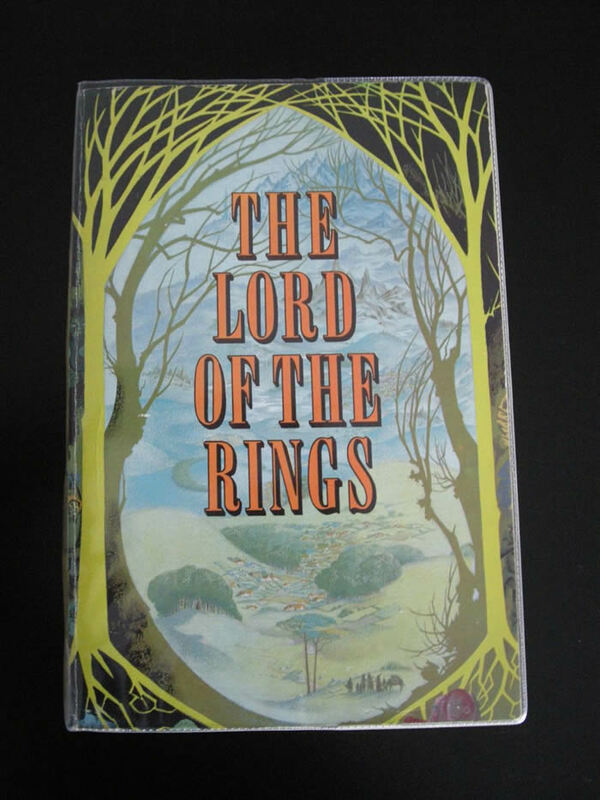 The Lord of the Rings, by J.R.R. 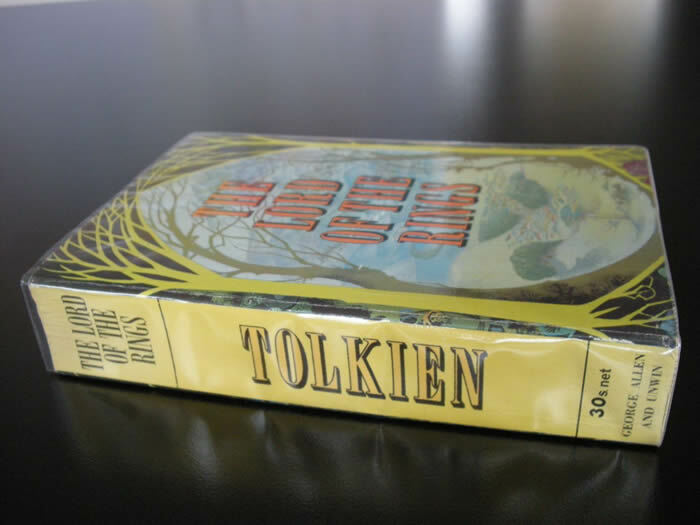 Tolkien, being The Fellowship of the Ring, The Two Towers and The Return of the King. 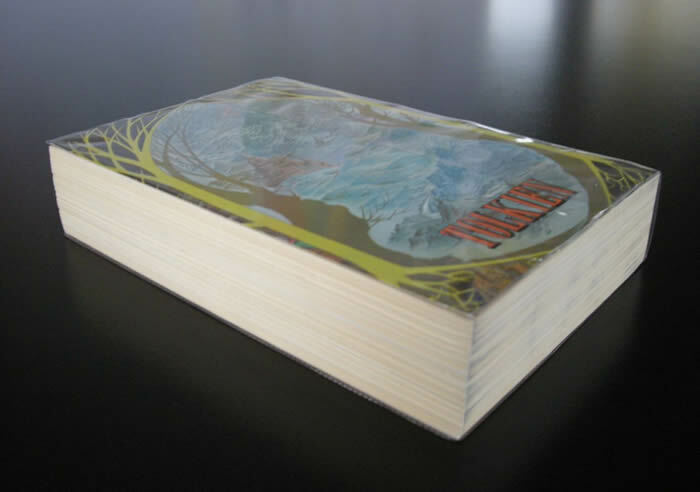 The First Thus, UK One Volume Paperback Edition, published in 1968 by George Allen and Unwin. Signed "J.R.R. 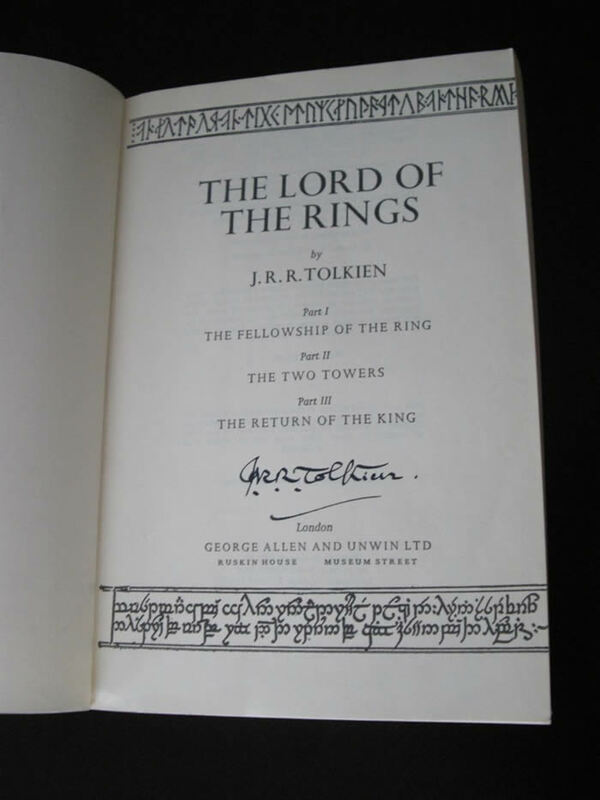 Tolkien" in black ink above the publisher's name on the title page. A Fine copy of an extremely collectable book.